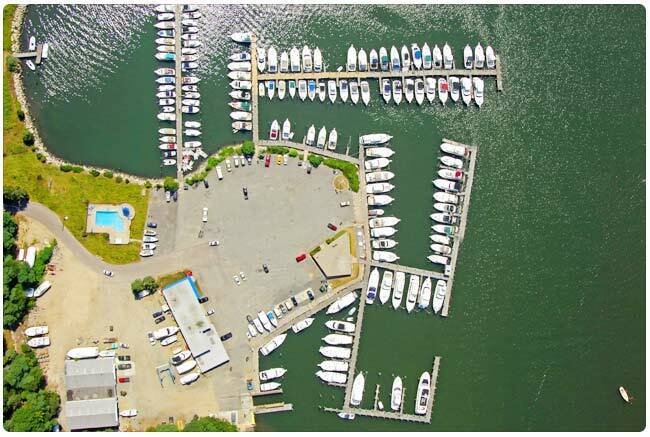 The service department at the Mystic River Marina has been delivering professional, dependable repairs and maintenance since 1957. With 60 years under our belt, we have vast knowledge of this industry and the many mechanical and technological improvements in marine engines and boats. We are truly FULL service. Our staff is here year round to make the improvements that you want. Be ready for next season! What can we do for YOU? Give us a call at 860-536-3123. Our service department is factory trained and certified in numerous product lines, including Westerbeke generators, the complete Honda marine outboard line and Sealand Dometic sanitation. We repair almost all gas engines and provide normal maintenance on diesels. We offer in-depth diesel repairs by appointment. And gas-to-diesel repowers are a specialty. We know fuel systems and ethanol issues. Fuel tank replacement is a specialty. Onboard systems, mechanical, electrical: we know it. And we’re here all year round! Stop in or give us a call at 860-536-3123 to discuss your needs. Our fiberglass and paint repair division is second to none. We are an Interlux Yacht Repair Certified facility. Whether you have Imron, Alexseal, Awlgrip, or gelcoat, our paint technicians are experts. No job is too big or too small. We can sandblast, barrier coat and protect your bottom from water intrusion, and we also specialize in underwater hardware: shafts, struts, rudders, propellers. From repairing blistered bottoms to fiberglass repairs to complete paint jobs, let us show you some of our work!